Odd, but true: I have been applying the KonMari method not only to my physical possessions, but to my electronic hoarding as well! 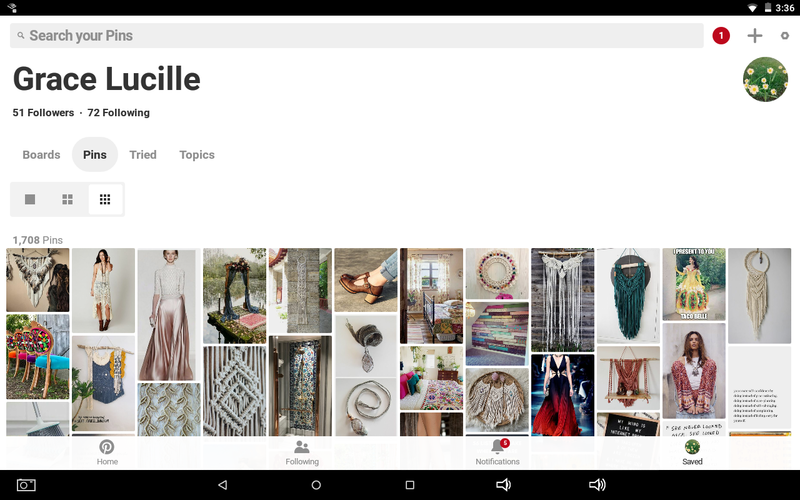 I have been an avid user of Pinterest for several years. I use it for craft inspiration, home ideas and decor, words of wisdom, and lots and lots of giggles. In that period of time, I think I reached a whopping 60 boards and almost 10,000 pins. Everything was organized in their proper boards… but it just felt like too much. Now and then I’d try to reorganize my boards, but I felt like I never made any real progress. First of all, I shouldn’t care, right?! It’s just a website, it’s not real stuff! But the truth is, because it’s something I’m involved in, a ton of ideas I’ve saved, I still feel energetically connected to it all. Sounds crazy, but that’s just how I am. When I started the KonMari process, I realized what my sense of failure was concerning my Pinterest account. The organization wasn’t the problem. It’s that I had TOO MANY PINS. I wasn’t discarding. I was just shuffling things around from one board to another without stopping to ask… is this something I’m still interested in? When I decided to take the KonMari approach, I asked each pin if it brought me joy… and turns out, a majority of them no longer did. There were tons of home ideas for an apartment we were constructing years ago, but have since moved to another house. Those pins are irrelevant now. Delete, delete, delete. I had tons of refashion ideas pinned that I now realistically admit I’ll never get around to doing… and also admiting that my taste in fashion is not exactly what I thought it was. I’ve always loved the idea of remaking and recycling things. That’s really what I love… not necessarily the actual products themselves. I realized… I wouldn’t wear the majority of those refashion clothes! Delete, delete, delete. When I got into jewelry-making a few years ago, I hoped to make a business out of it. I had a board for each category: necklaces, earrings, bracelets, etc. And when I looked through them this time around, I realized that most of the pins I saved weren’t pieces that I actually liked or would wear. They were pieces that I thought were interesting and might sell. I currently have no plans to make a real business out of my previous jewelry hobby, so most of those pins are now irrelevant. And I’d like to think that if I were to make a business of it, I’d rather make the pieces that *I* enjoy and would wear, since those would be the ones that have a more positive and joyful energy to them… and also, if they don’t sell, I can wear them! And so, most of those pins I deleted. When I was physically tired of going through my physical clutter and needed a break, but was still in my dejunking mindset, I would lay in bed and start hacking away at my Pinterest boards on my phone. After a few weeks, I finally went through all my boards and was left with only those things that truly spark joy. I am pleased to announce that my Pinterest account now has only 26 boards and 1,700 pins, and that they are all things which truly inspire joy. When I switch to Pins mode and look through all my pins, I am amazed at what I find. What I see now is a truer reflection of my personality, and it really does make me happy! Electronic clutter is just as bad for me as physical clutter (you should see how neat and tidy I keep my email inboxes!). Pinterest is supposed to be a collection meant to inspire me. For too long it was full of half-inspiration and other people’s ideas. Now I can go to my Pinterest account and find immediate inspiration and joy.